Outshine is a high growth digital advertising agency that specializes in driving low cost, high quality traffic that converts. Based in Halifax, Nova Scotia, Outshine's clients include leading technology, financial, and real estate companies all around the world. 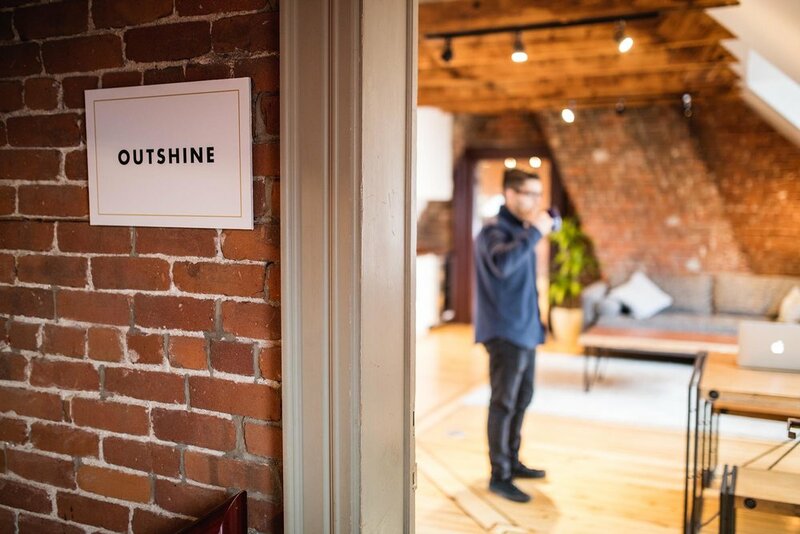 Outshine moved into a dated but historic space in the winter of 2018. I took a dark and dingy space and redesigned it to be a bright, beautiful office space for their growing team. The bones of the building were beautiful so I removed some walls, designed a new kitchen, and painted/furnished the entire space to fit their brand and needs. Want to see the process behind a redesign like this?